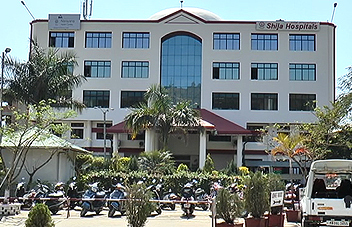 Shija Para – Medical Research Academy is affiliated to Paramedical Council of India and aims at providing a good academic platform for producing qualified competent paramedics in the region. It is located within the campus of Shija Hospitals & Research Institute. The academy was founded in the year 2012 and so far one batch of successfully trained students has been produced. The aims and objectives of the academy include training of paramedical staff, conducting health awareness camps in rural areas, educate people about hygiene and importance for good health and to prepare para – medical personnel to conduct researches on providing care services. Being based in a 200 bedded hospital, the students in SPRA are exposed to the clinical procedures through hands on training making them competent in the field.